Did you know that for every $3 cup of coffee, only 3 cents goes to the farmer who grew the coffee beans? Our Tuesday, August 10th event at Birch Coffee was a great success. A number of GGP supporters came to curl up on couches and comfy chairs, sip a latte and learn about the global coffee trade from the documentary “Black Gold.” The documentary illustrates the plight of Ethiopian coffee growers where the coffee trade constitutes 67% of the country’s export revenues. This film includes perspectives from large corporations, e.g. Starbucks, and small, fair trade, community-based organizations of Ethiopian farmers. Ultimately, this film demonstrates how a fair trade business model provides an opportunity out of both economic abuse and market uncertainty. Global Goods Partners chose this film as it relates to our objective and mission statement. GGP strongly supports the fair trade values brought to light in “Black Gold” and works to provide an online fair trade marketplace to help artisans in developing countries all around the world. This alternative avenue helps these artisans to fight poverty and social injustices. Our supporters were moved by “Black Gold”—starting up an impromptu discussion on Ethiopian coffee politics after the film was finished. This film definitely makes a coffee drinker more consciously aware of the labor and worldwide effects of drinking one cup of coffee. GGP was delighted at the support of the fair trade community on Tuesday and is looking forward to doing more screenings in the future! Did you know that Africa currently makes up only 1% of world trade? If that number was increased by just 1 percentage point, it would put $70 billion into Africa’s economy, which is 5 times the amount the continent currently receives in foreign aid. We can increase this number by purchasing fair trade! Whether it be coffee, honey, jewelry, scarves, and more, become a socially conscious consumer! 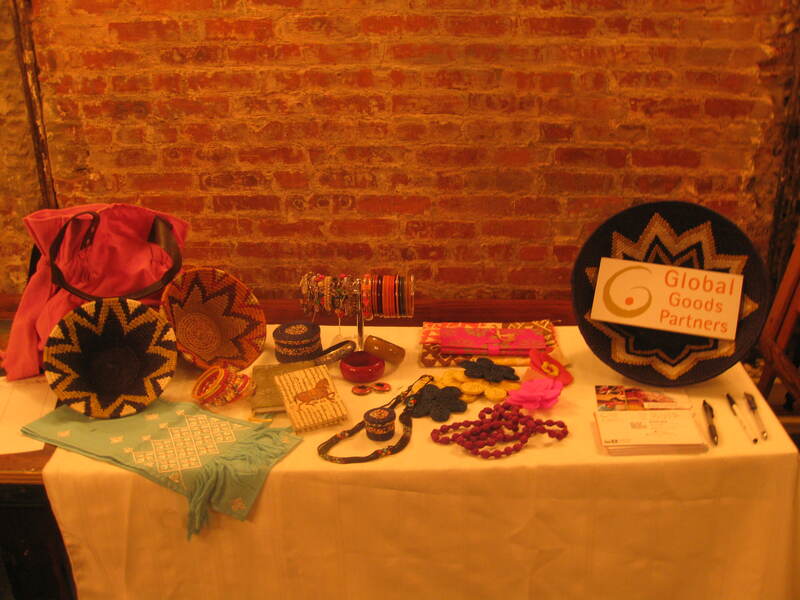 Check out the products of Global Goods Partners ; your purchase makes an impact around the world. Learn more on our website! Be sure to become a Fan on Facebook and follow us on Twitter for all the updates and future events!